The old gasket welding machine has some disadvantages such as the welded gasket surface is not smooth, long welding time, low stretch assistance. As the higher quality gasket is needed at new generation energy-saving and green home appliance, the old gasket welding machine is no longer satisfy the requirement now. At this situation, we improved and optimized German welding machine, and make it a cheap and easy-using machine. 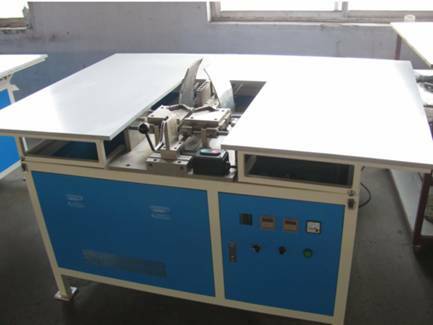 The Single-angle gasket welding machine is widely used in gasket welding of refrigerator, ice chest, sanitizing cabinet etc.